Residing in London, Laia Farran Graves works as a stylist and is a fashion and beauty journalist who has worked for Vogue, Marie Claire and The Sunday Times. 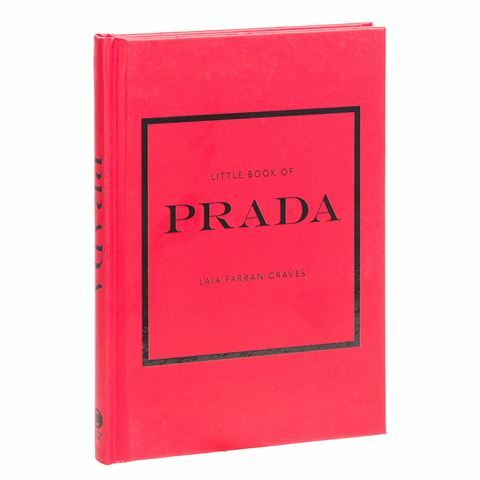 The Little Book Of Prada follows the biographical chronology on the life and career of Miuccia Prada. Published by Carlton books, it explores the infamous collection, collaborations and themes that make Prada so well-known and loved the world over. With close up behind the scenes shots from inside this infamous fashion house and the woman behind it, there is spectacular fashion photography leaping from this books every page from beginning to end. A documented history of Prada fashion house. Beautiful images of catwalk shots and garments. Written by Laia Farran Graves.